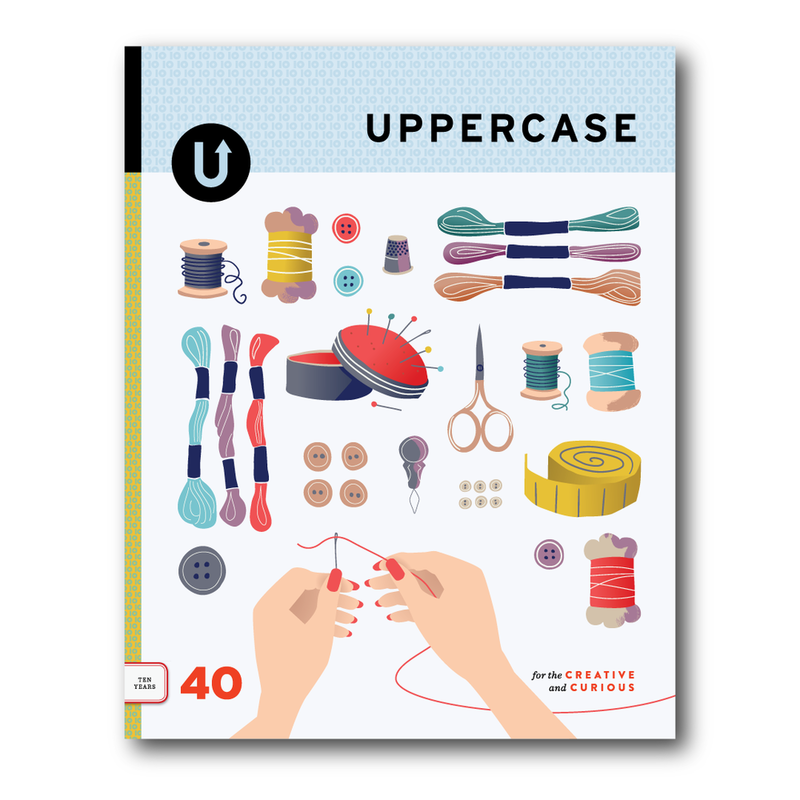 I designed this magazine cover for the 10th anniversary issue of UPPERCASE magazine. Although my submission wasn't selected for the cover, I'm thrilled that it is published within the issue! This voluptuous, English Cottage Garden is inspired by gardens in Oxford. There’s old-fashioned roses, foxglove, mock orange, delphinium, phlox, lavender, catnip, brimstone butterfly, bee, Jersey Tiger moth, cabbage butterfly, dragonfly and a ladybird. Designed to a brief with the trend Boho Exotica. Now it’s available at Ohh Deer as a cushion cover! I turned this illustration into a free printable colouring book. 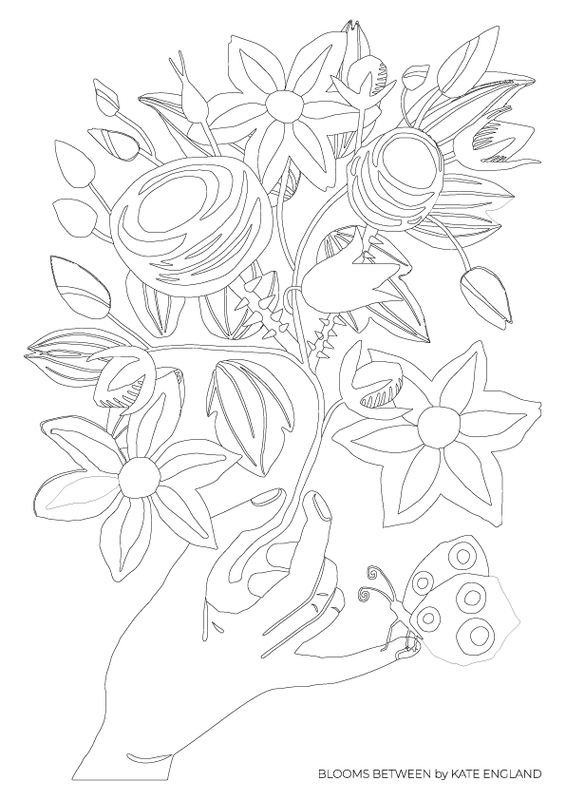 I think of this image as Blooms Between, or Thanks a Bunch, and it would be lovely to colour and keep. Just as perfect as giving it away as a birthday card or thank-you note. A hand holds a bunch of flowers and leaves. There are roses, clematis, and bluebells. A butterfly lands on the tip of a finger. Perhaps the butterfly is a messenger? I'd love to see what you create! I hope you have fun making this colouring page your own! Free printable colouring page by Kate England. Roses, bluebells, clematis joined into a bunch. Here are a few sketches for a project I started working on today. 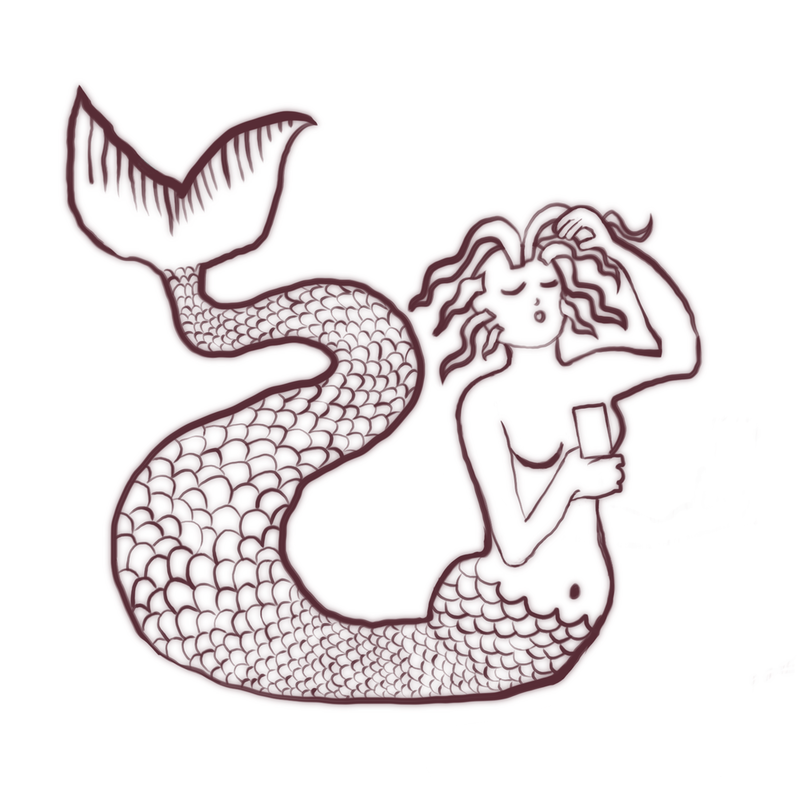 The siren song of social media and mobile phones. I'm really enjoying this bleeding ink and the topic is so interesting. It would be fantastic to create some editorial illustrations on the subject of technology and how we use our digital devices. Here's the completed mini collection Bold Botanica. 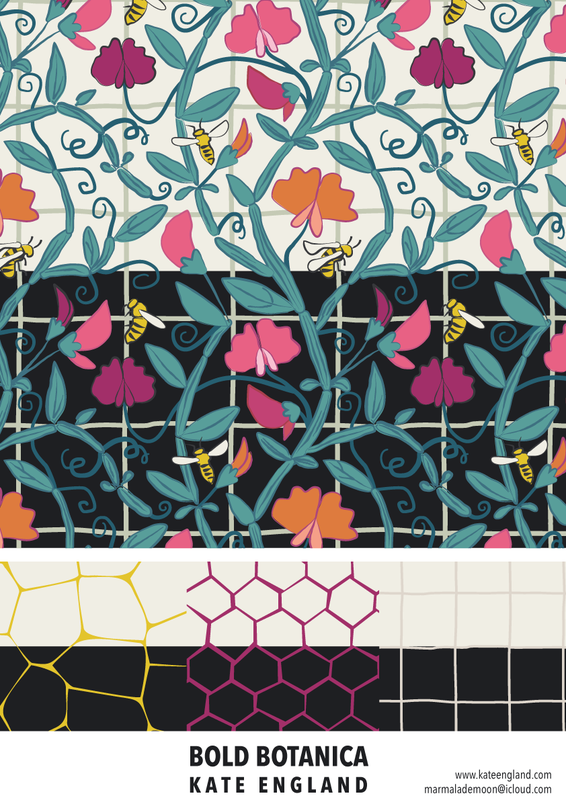 Here I've created three coordinating patterns to go with the main pattern with the sweet peas and honey bees. Continuing to weave in the theme of night and day. The coordinates are inspired by the trellis and by honey.